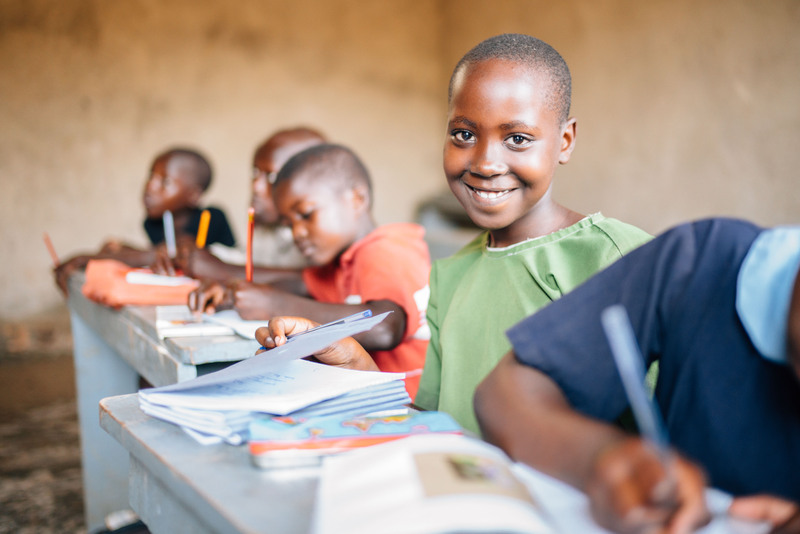 Photo: A girl studies at our school in a Kampala slum colony. Research has shown that education is the key to preventing the rampant rise of the trafficking of minors. Today we bring you an important update from our native team operating in the slums of Kampala, Uganda. Due to unusually heavy rain beginning in April, the area has experienced severe flooding. The destructive weather has affected our Children’s Hope Center since it is located in a colony situated at the bottom of sloped terrain near the shores of Lake Victoria. Thus, sadly, much of the sewage and rainwater drainage of neighborhoods in higher elevations collects in stagnant pools causing flooding problems during the rainy season. The current flooding washed the soil away, flooded and destroyed our pit latrine toilet, rotted our school desks and washed some of them away, ruined many of our textbooks and other school supplies, and weakened our floors. Photo inset: (Top-left): A young girl at our Kampala Children’s Hope Center enjoys a nutritious breakfast of fresh-cooked porridge. 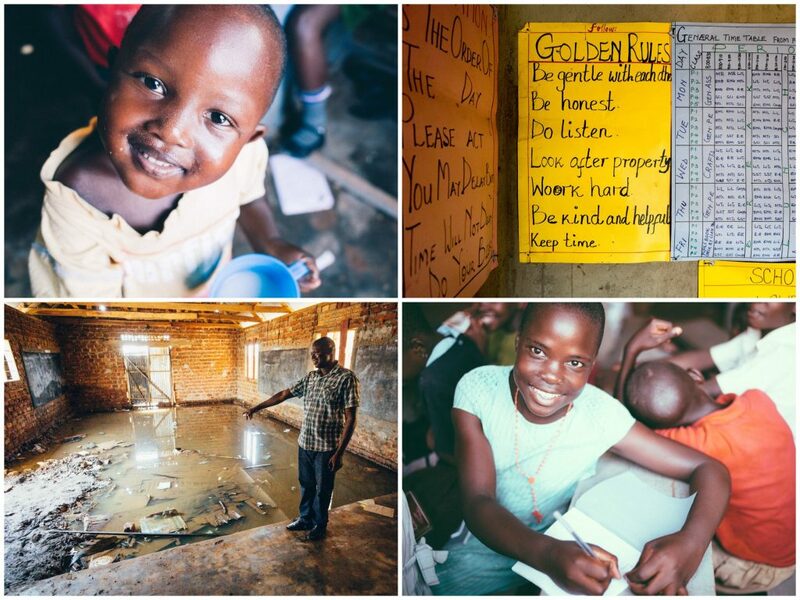 (Top-right): Classroom rules and schedules posted in a classroom at our Kampala Children’s Hope Center. (Bottom-left): The Director of our Kampala Children’s Hope Center points out flood damage in one of the classrooms. (Bottom-right): A local girl and student at our Children’s Hope Center is thankful for the opportunity to have a quality education.